Frequent readers of this blog know that I’ve been on a quest for literally decades at this point to find a strain to help curb my anxiety. I’ve tried a few of the classics, such as OG Kush, and got great results. However the current top slot is now reserved for 707 Headband. If you’re looking for a strain of cannabis that can help treat the symptoms of anxiety without getting too heady and “stoned” then Headband is what I’m currently suggesting. As always, the dosage is important above all else, and it is possible that since I am microdosing that my results will differ from those who are more ardent smokers. I never smoke more than just 1 hit at a time, and my job demands that I stay mentally clear, and able to perform in front of a group of people. As a team leader I have to make sure everyone is motivated, and can’t lose my scruples. OG Kush was great as an occasional bat hit when I was out with friends, but 707 headband has really hit the sweet spot. It’s known for being quite strong, as it is predominantly an indica with a high THC output. The plant is also ready rather quickly going from seed to flowering in around 70 days. 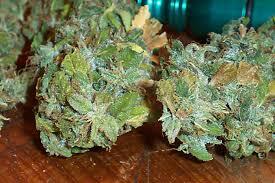 It is also quite aromatic, but not pungent like Diesel or Haze. As always I’d recommend really considering the dosage with Headband, because I think it works better in low levels ( which is why I probably like it ) . Next Why is Kush so good?